Sorry people, but it's all your fault. After what may have been the most short-lived death in automotive history, the Toyota Yaris Hatchback has returned for the 2020 model year. This time around, the Yaris isn't actually built by Toyota. This new model is actually a rebadged version of the Mazda2, which is also true of the Yaris Sedan (formerly the Yaris iA). The new Yaris is powered by Mazda's 1.5-liter four-cylinder engine producing 106 horsepower and 103 lb-ft of torque going out to front-wheel-drive. In the sedan, buyers can choose from either a six-speed manual or six-speed automatic but Toyota oddly decided not to offer the manual in the hatchback. We decided to reach out to Toyota to find out why. 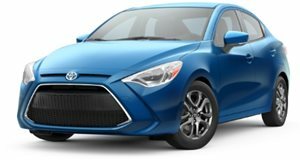 In an email to CarBuzz, Toyota spokesperson Nancy Hubbell confirmed that "the take rate for the manual transmission in the Yaris Sedan is low, so that was a factor in not offering a manual in the Yaris hatchback." Hubbell didn't mention exactly what percentage of Yaris Sedans were sold with a manual but a quick online search of for sale listings in the US turned up 3,685 automatic examples and just 348 manual cars. Even though the manual isn't a hot seller, Hubbell confirmed there are no plans to discontinue it for the sedan. Toyota hasn't revealed pricing for the 2020 Yaris Hatchback but we expect it to be close to the sedan's starting price of just $15,450. 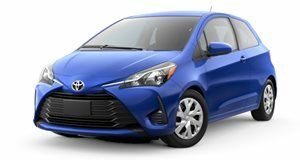 This is exceptionally low for a new car, so we urge people who need affordable and reliable transportation to take a look at the new Yaris. It may be low on power but the Mazda underpinnings should ensure that the new Yaris is fun to drive. Automakers are killing off manual transmissions because so few people are buying them new (getting a used one doesn't count as a sales statistic). If you want to save the manual, go buy a new Yaris Sedan, perhaps as a birthday present for your 17-year-old.